Preview: Easy valentine’s day craft for kids! 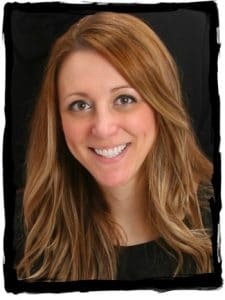 Grab all the kids! We’re making a cute homemade Valentine’s Day craft that preschoolers, toddlers, Kindergarteners, and kids of all ages can enjoy! This DIY Valentine’s Day activity is easy to make and perfect for school or classroom. I love sharing my favorite things with my readers. By referring customers though these links, I could receive a small commission from the company at no additional cost to the reader. You can read more about this on the Legal page. Homemade Valentine’s Day crafts are the sweetest! What could be a better Valentine’s gift than a sweet, handmade heart craft made by your #1 Valentine?! I would take a precious memento over chocolate any day! Only my kids are more important than chocolate. Them, and like 3 other things. Then chocolate. This Valentines activity is easy enough for even a toddler to do (with help of course). 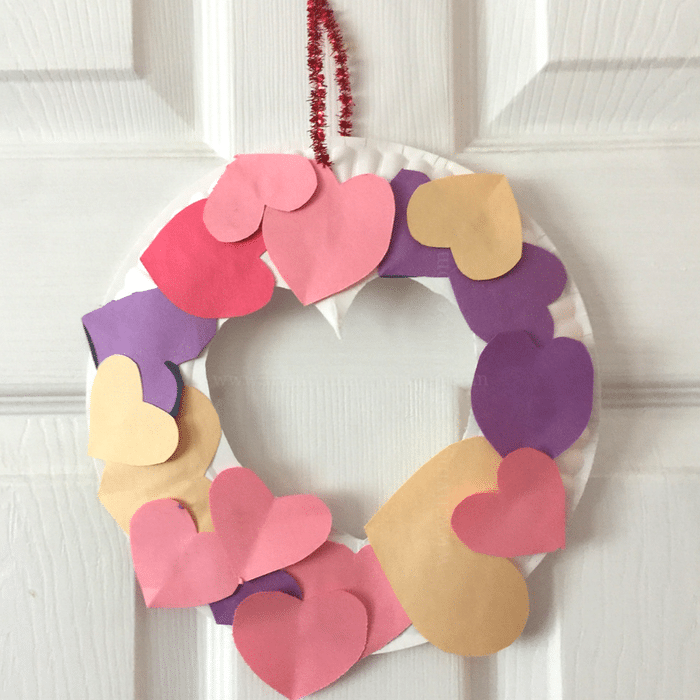 Using just a few items you probably have in your house, kids can make an adorable Valentine’s Day wreath to hang on the door or gift to their special Valentine (hopefully that’s Mom for now! <3). Take your paper plan and fold it in half. An adult should cut a heart shape (or a circle) in the center. to make a wreath form. Next, use a hole punch to make a hole at the top of the wreath. 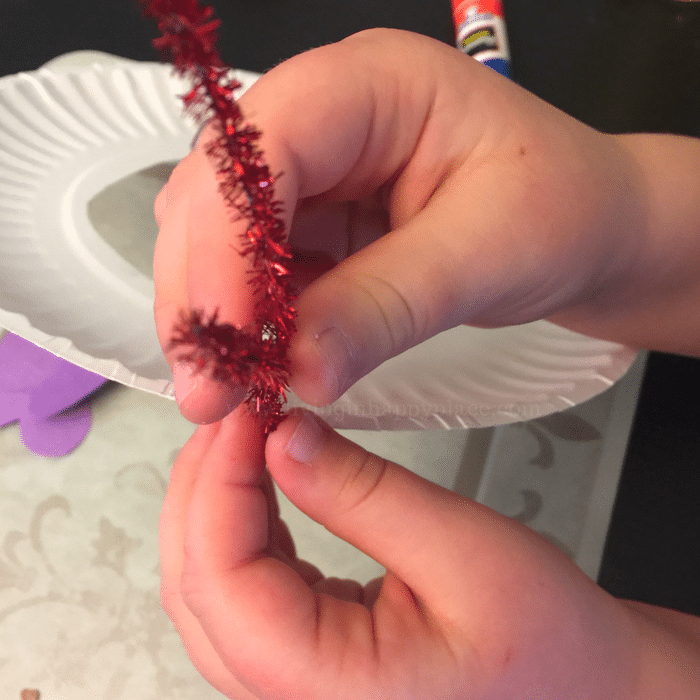 Use a pipe cleaner or ribbon to string through the hole. This will be used to hang the wreath so be sure the length is appropriate for where you plan to display your child’s masterpiece! Using construction paper (any colors you choose! 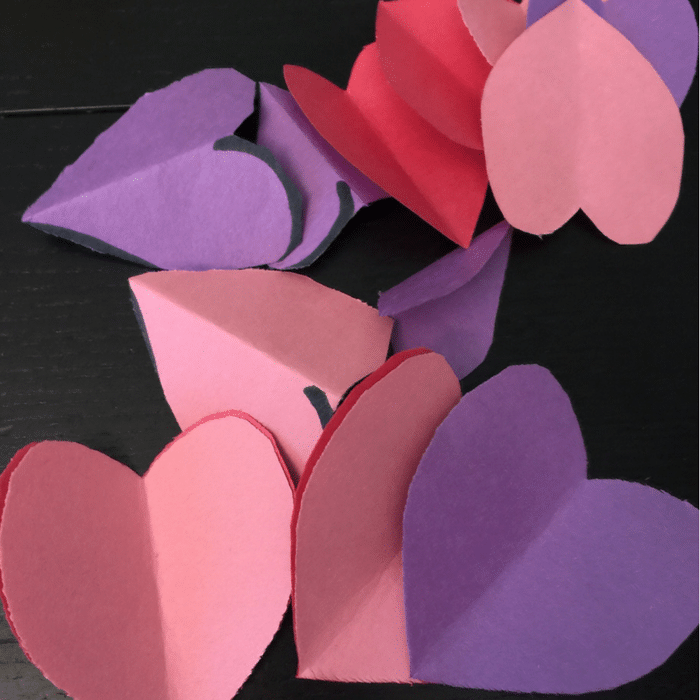 ), fold strips of paper to cut out hearts. 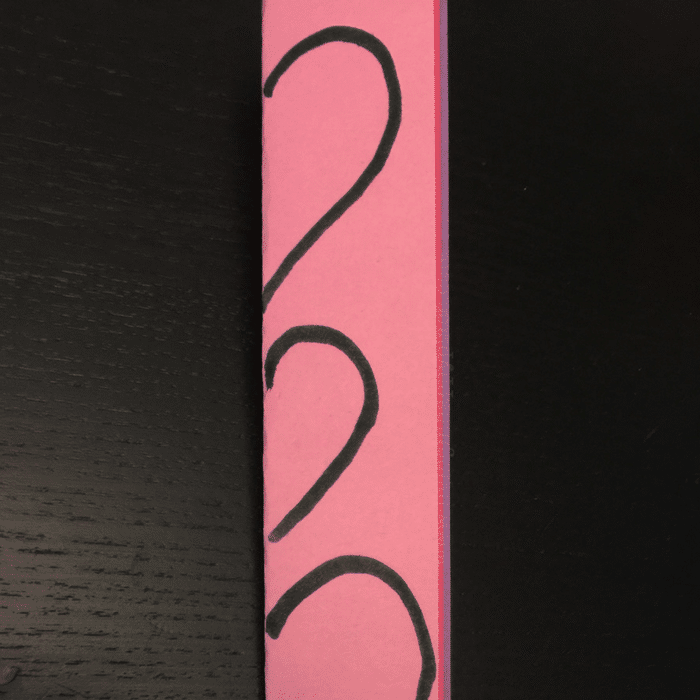 You can draw the hearts first to make it easier to keep the shape. Hearts can be uniform in size or many different sizes. 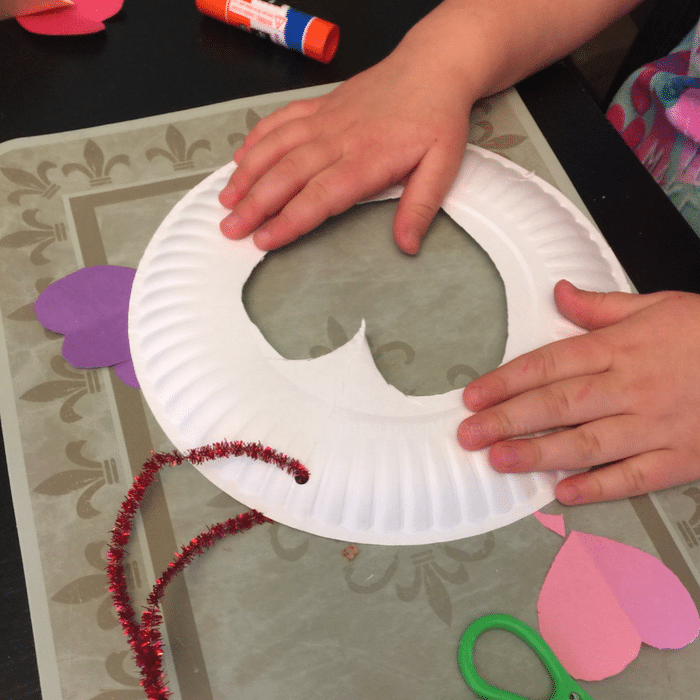 Add some glue to one side of the heart and stick it on to the paper plate. 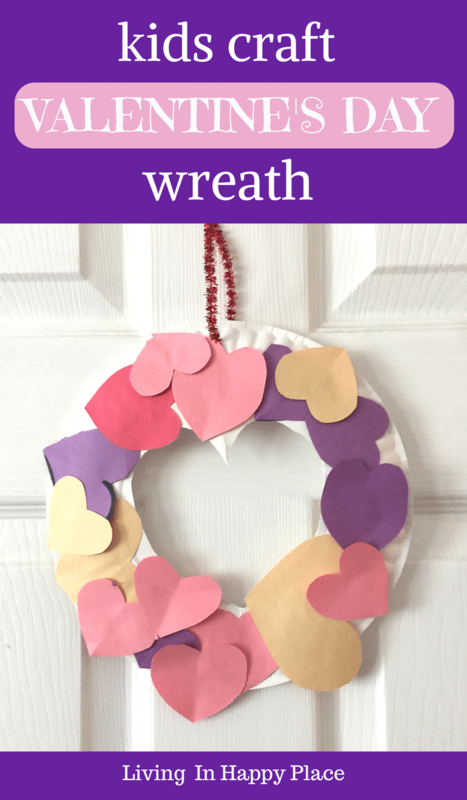 Place and overlap the heart shapes until the entire wreath is covered. Hang and admire or send it to grandma for Valentine’s Day! Choose any whatever colors you want your wreath to be. You can keep the hearts all uniform in size or make different sizes for depth. Let your child try to thread the hole all by his/herself! This is great for building hand-eye coordination and fine motor skills! Be sure to follow Happy Place Mom on Pinterest and Instagram for more kids activities, parenting hacks, and crazy #momlife moments! Where will you simply your valentines day craft for kids?